The principles of ecological gardening are simple: work with, not against, nature to achieve a beautiful, sustainable garden. If you choose the right native plant, put it in the right place, and use no chemicals, you can the transform your home landscapes and public spaces into islands of habitat for insects, birds, and other wildlife. And native plants are just as ravishing to behold as the hot new exotics your local garden center is touting this year. For all who are new to gardening with natives, we hope you take joy in the plants themselves, and in watching the native bees, butterflies, birds, and other creatures drawn to your home habitat. The ultimate goal for the ecological gardener is a beautiful garden that provides year-round interest, supports local wildlife, absorbs and filters rainwater, and improves air quality. They are adapted to the local soil, climate, and pollinators and feed the web of life. Focus on building healthy, organic soils that provide all the nutrition native plants require. Fertilizers, even when used responsibly, are pollutants; they are highly mobile forms of basic elements like nitrogen and phosphorous that cause direct environmental harm to waterways, including algal blooms and ocean dead zones. By recycling organic waste through composting and using organic mulches in our gardens, you have no need for fertilizers. Pesticides can have disastrous effects on human health, as well as catastrophic environmental impacts. Fourteen of the 30 most commonly used lawn pesticides are known neurotoxins or carcinogens, and two-thirds of them cause reproductive harm in humans. Those at particular risk are children and pets that come into direct contact with gardens and lawns treated with pesticides. Systemic pesticides, like those commonly referred to as “neonics,” are absorbed by a plant’s vascular system, making the entire plant toxic to harmful and beneficial insects alike. The use of systemic pesticides has been linked to the decline of important pollinators, and their widespread use in growing plants for gardens means that many important pollinator plants are toxic to the very insects gardeners intend to support. When buying plants, always ask whether or not they have been treated with systemic pesticides, and avoid using these products in your garden. Ecological gardening with native plants is a fantastic way to keep our gardens beautiful and make sure they support healthy, local ecosystems. We hope you will keep these principles in mind as you consider adding fabulous native plants to your garden. 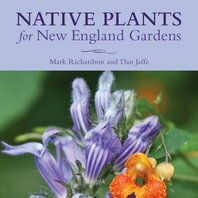 Condensed from the introduction to our book Native Plants for New England Gardens, by Mark Richardson and Dan Jaffe. Which plants will thrive in my garden? To understand what your garden has to offer, consider three essential factors: light, soil type/moisture, and space availability. Light: Full sun means more than six hours of direct sunlight per day. Anything less is some variation of part-shade to shade. Conduct a simple light analysis by observing light and shadow in each part of your planting area at least three times throughout the day; for example, at 8 a.m., noon, and 4 p.m. Soil: Because of its chemistry and texture, soil is more difficult to evaluate. But one thing you can do at home is determine how well your site drains by conducting a percolation test. Dig a hole about eight inches deep, fill it with water, let the water drain to saturate the soil, and then fill it again. If the water takes longer than 24 hours to drain the second time, your site is poorly drained; less than 12 hours, and it is very well drained. To find out your soil's percentage of organic matter, texture, and pH (acidity and alkalinity), contact your local cooperative extension service to conduct a soil analysis. Space: Choose plants that at maturity will be the appropriate size for your garden. Avoid planting tall-growing trees under power lines, for example, or aggressively spreading plants next to delicate, slow-growing specimens. And shrubs and trees with spreading canopies eventually will cast sun-loving species in shade. Understanding these three fundamentals of gardening will guide you toward making the right decisions as you choose plants for your garden. And remember: No matter what a plant’s requirements, any plant going into the ground needs TLC. Treat newly establishing plants as if they are still in a container, providing ample water through their establishment period to make sure they get off to a good start. Americans apply 30,000 tons of pesticides each year to keep grass green, according to the U.S. Environmental Protection Agency (EPA). The University of Massachusetts reports that the typical lawn-service company in that state applies five to seven pounds of pesticides per acre of lawn a year. Per EPA records, this is at least twice the amount applied to the most pest-plagued of agricultural crops, sweet corn. This should terrify you, because lawns serve as the primary play area for our kids and pets. Despite labels that tell us that pesticides are safe for use around children and pets, ongoing scientific studies find many of them anything but. Fourteen of the 30 most commonly used lawn pesticides are neurotoxins. Sixteen are known or suspected carcinogens, and two-thirds of them may cause reproductive harm in humans. As for lawn fertilizers, most contain nitrogen, phosphorus, and potassium. The run-off of the first two compounds into our water supply presents "one of America's most widespread, costly, and challenging environmental problems," the EPA reports. And then there are the herbicides to kill "weeds"—many of them plants that offer potential benefits. Clover, for example, fixes nitrogen that can support turf-grass growth. Violets can host rare butterflies like the regal fritillary. To the alarm of the landscape-services industry, advocates for health and the environment are starting to act. In the last five years, many states, including four in New England, have passed laws that limit the use of lawn fertilizers. Massachusetts is attempting to pass a bill that would restrict neonicotinoid pesticides. But to truly let go of the lawn, we need to replace it with a landscape that looks beautiful and is relatively easy to maintain. It will automatically support pollinators and other wildlife if you plant natives in your re-designed yard. But we worry about what to plant. And we worry about getting dirty looks from our neighbors. Choosing what to plant can be simple. Sort the areas of your yard into three categories: 1) where you could lose the lawn and not miss it; 2) where you desire a green groundcover, but not necessarily turf grass, for aesthetic reasons; and 3) where a lawn is useful, say, for kicking around a soccer ball. In category 1 places: Choose a color palette, find some plant combinations that complement each other and thrive in similar conditions. One pleasing combo for spring color in a shady spot is creeping phlox (Phlox stolonifera) and foamflower (Tiarella cordifolia). They flower at the same time and work as living mulches that stabilize soil and keep weeds at bay. Add taller accent plants, such as a native flowering shrub or two that fit your color scheme and conditions, and you've got the start of a beautiful, low-maintenance garden that will provide a spot of native habitat for you and your family—and turn your former lawn into an oasis for wildlife. 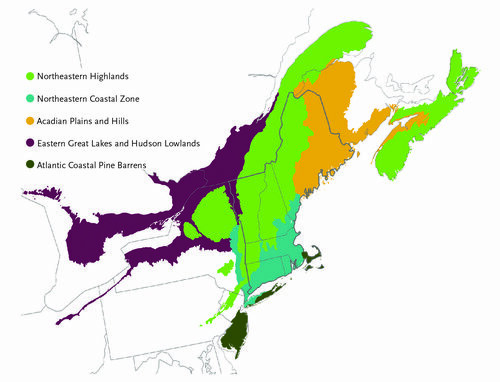 In category 2 places: Consider site conditions—sun exposure, moisture, and drainage. Look for mat-forming perennial groundcovers, or true lawn alternatives, that thrive in those conditions. For sunny spots, consider wild strawberry (Fragaria virginiana), which tolerates a wide range of conditions and supports dozens of moth and butterfly species. And it bears tasty, fragrant little strawberries in mid-June. In shadier spots, Pennsylvania sedge (Carex pensylvanica) looks much like standard turf grass that grows in short, fountain-like clumps. These groundcovers require no fertilizer and scant supplemental watering. In category 3 places: Keep the lawn, but get off the weed-and-feed cycle. Mow high (between three and four inches) with a mulching mower and aerate your soil in the fall. The longer your grass, the deeper its root system and the less irrigation it will need. Replace thirsty grasses with drought-tolerant species like tall fescue (Festuca arundinacea). As for your neighbors' glares, perhaps they will open an opportunity to have some conversations about why you chose to roll back your lawn. Condensed from an article in Native Plant News (Spring/Summer 2017) by Mark Richardson. Take the guesswork out of planning your New England native plant garden. Transform your home landscape into a native-pollinator oasis that buzzes with life! Our native plant botanic garden and horticulture programs open doors to ecological gardening and conservation for new audiences. Please support our work.